Should Parents Fly in First Class and Stick Their Kids in Economy? I recently came across an interesting article about how celebrity restauranteur Gordon Ramsay chooses to raise his children. In short, rather than sharing his fortune freely, Ramsay implements teaching his children humility and “keeping it real” by making them work hard, earn their own money and having them sit in economy every time they fly as a family — while he and his wife sit in first class. While I agree with the argument that kids are better off when they learn to shape their own lives, aren’t spoiled and absorb plenty of life-lessons, the idea of splitting up a family into different cabins when traveling — especially on a family trip — got me thinking. So many variables come into play, with the first being the most obvious: the ages of the children. As a mom of two young children, it would never cross my mind to sit away from my two- and three-year-old kids, and truthfully, I wouldn’t feel comfortable even doing so until they were in their early teens, at which point they probably wouldn’t want to sit with me anyway. I was given a lot of independence as a kid and so I try to do the same for my little ones, however sticking a five-, six- or seven-year-old alone in the back of the plane just doesn’t sit well with me. I’m all about giving children safe opportunities to be independent, but I would never want to leave my kids at the mercy and responsibility of strangers while I am up front sipping Champagne. 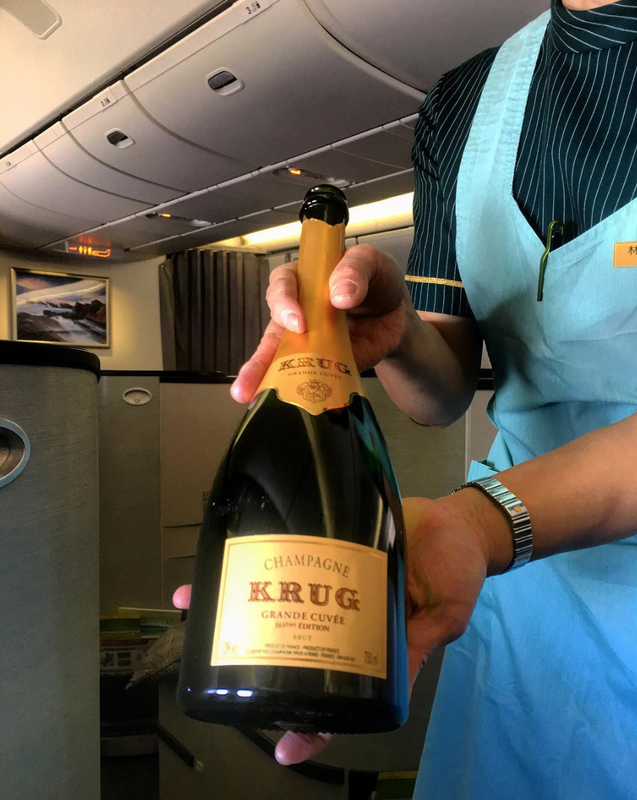 Would you leave the kids in economy and sip Champagne up front? Then you have to think about safety. Sticking your kids in economy while you indulge and sit in the forward cabin does not automatically deem your child to be an “unaccompanied minor,” in which case flight crew are specifically assigned to ensure no one is intimidating/harassing/touching your child — unfortunately, you still have to worry about subjecting your child to less-than-ideal seatmates. And what about in-flight emergencies? Say oxygen masks come out, for instance, or there’s an emergency landing. 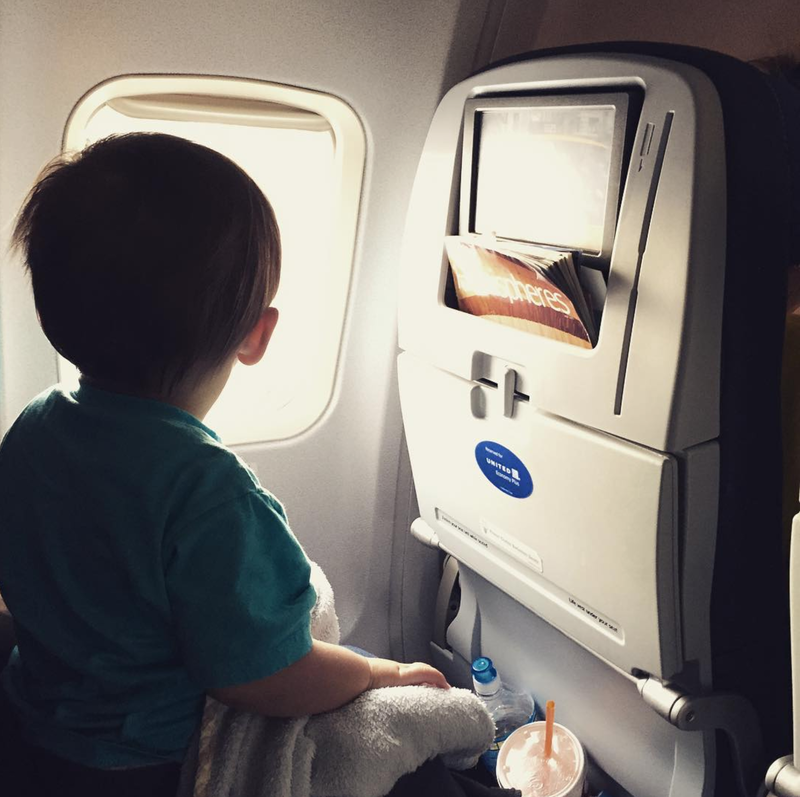 As a parent, would you be comfortable sitting in first class knowing your child is alone in the back of the plane? Is your child mature enough to know how to properly handle the situation? I know I’d want to be close enough to assist my children if something should happen. Personally, I wouldn’t leave my kids alone in economy until they were in their early teens. Now that the lap infant days are over for my family, it makes the most financial sense for all of us to be sitting in economy — and still, with all else aside, I choose to do so willingly when traveling with my kids. I was raised in an environment where my parents treated us as equals and when it comes down to it, there’s something about “family travel” that means togetherness. We either all sit in the back (or front) or no one does. Sometimes teaching humility starts with leading by example. The ironic part of it all is now that as an adult when I travel with just my dad, it’s a reverse scenario — he’s usually the one who tends to enjoy sitting in the back to save money and stretch his miles while I prefer to “splurge” a bit and treat myself to first or business class whenever I’m traveling sans kids. Dad is all about getting from point A to point B, while I truly appreciate the entire first-class experience from start to finish. We are both adults that have a mutual understanding and respect for our different preferences, and it works out fine for both of us. Would you fly in a separate cabin than your children? Have you done it before? Sound off, below.